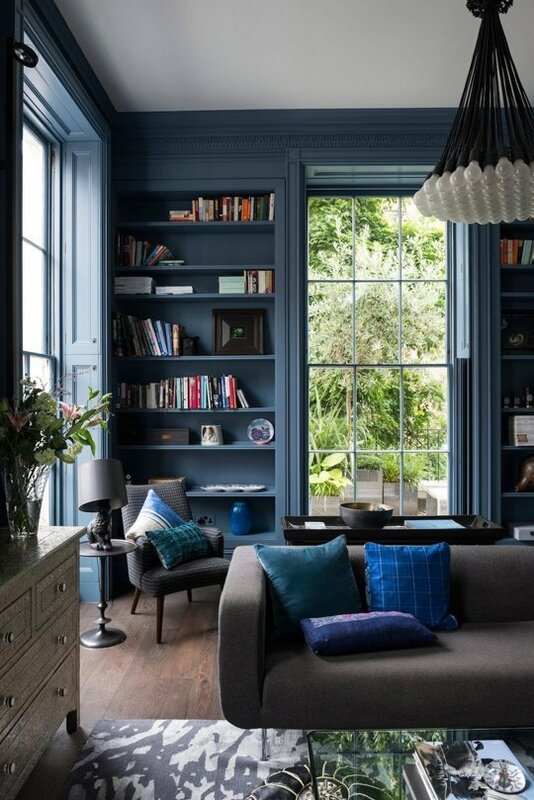 Built-in bookcases add an architectural element that any home can benefit from. They provide depth, dimension, and character where regular wall surfaces otherwise fall flat. 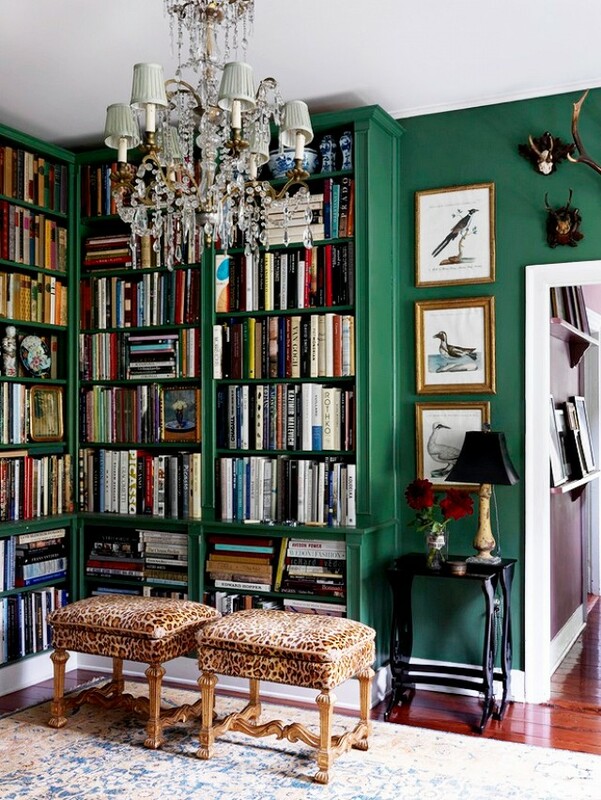 I prefer an "updated traditional" bookcase style with cleaner lines. Simple, classic, and timeless. However, when it comes to color, that's open game. 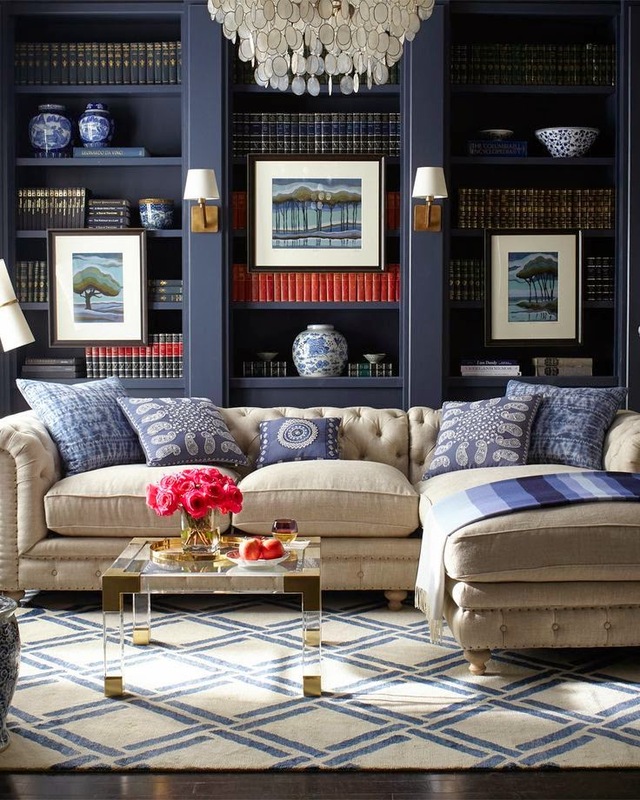 The bold, deep, rich hues I've seen trending on bookcases recently inject a contemporary flair that has me swooning. So much moody richness and design impact. They strike that balance of traditional and modern, elegant and cozy, classic yet unexpected... design characteristics that I absolutely love! 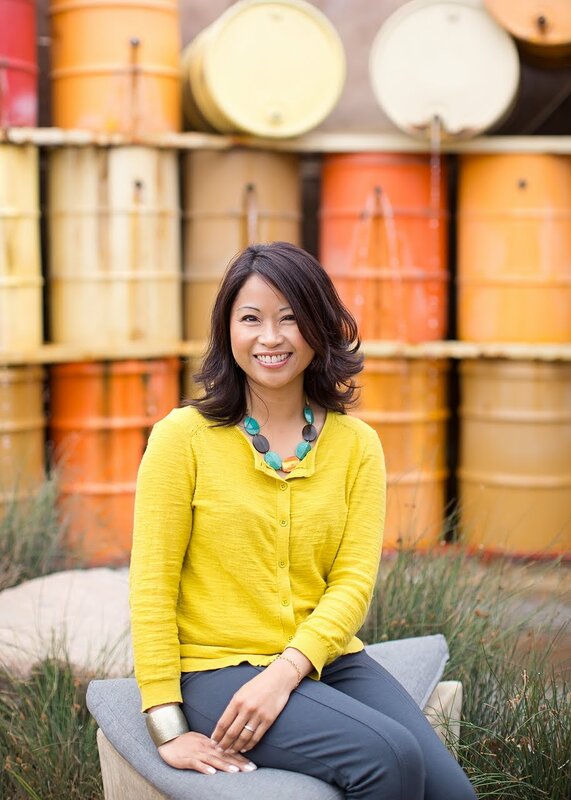 Click here to read about more of my "Favorite Things".